Samantha Chambers-Skeggs, Founder of Ditch The Ladder, a business that helps corporate escapees transition from the corporate world to setting up their own business again joins Enterprise Radio. What is the major thing that prevents most aspiring entrepreneurs and business owners from taking the big leap from employment? What are the mistakes not to make when making the break from employment? With so much to learn and do when starting out, what is the key to working smarter not harder? What part do desire and proactivity play in developing an entrepreneurial mindset? What is the biggest irony of being your own boss? Summary: Ditching corporate life to create your own path in business takes courage, confidence and a willingness to get out of your comfort zone. Knowing the ways to transition smarter, and the mistakes to avoid, can help to turn your idea into a reality. Samantha Chambers-Skeggs is a business transition coach, mentor, trainer, author and speaker. Samantha spent 20 years working for some of the world’s biggest brands including PricewaterhouseCoopers and Qantas before ditching the corporate ladder and embarking on her own journey. Samantha is passionate about helping those trapped in corporate careers jump off the corporate ladder and create their own path to success and happiness through running their own business. Through her mantra, ‘Be Savvy, Play Smart, Embrace Success’, Samantha encourages others to achieve and succeed through working smarter, not harder, and focusing on strengths, creativity and innovation. 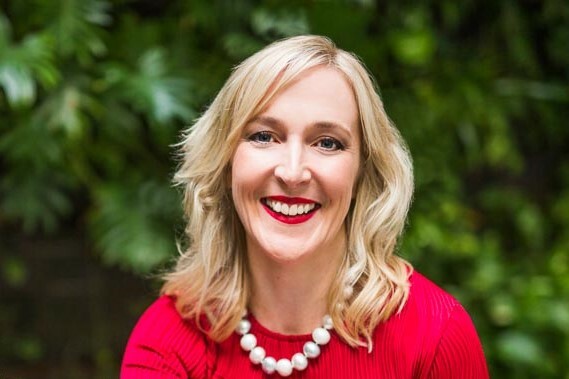 Samantha is the author of “Ditch The Ladder – Escape The Corporate Trap”, and also contributes content to the Australian Rugby Business Network monthly newsletter, and has had articles published in the Business Chicks Latte magazine, Women’s Network Australia magazine and on the Australian Businesswomen’s Network website. Samantha holds a Commerce degree, is a member of the Institute of Chartered Accountants in Australia and is Lean Six Sigma Black Belt accredited. Samantha is also an accredited business coach and is a member of the National Coaching Institute in Australia. Samantha will enable you to rethink the way you view your place in the corporate world and unlock your mind to a new way of life.